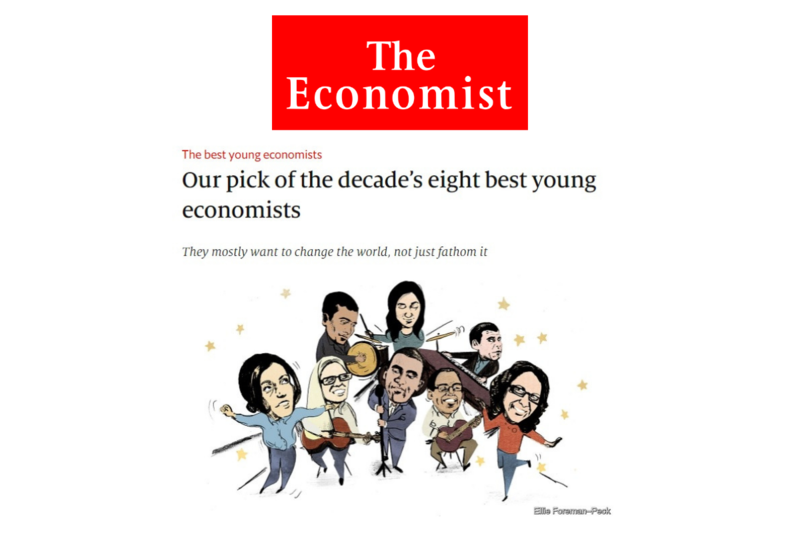 Nathaniel Hendren has been named one of “Eight Best Young Economists of the Decade” by The Economist. He joins a short list of 32 scholars — including Raj Chetty in 2008 — in receiving the honor, which is only awarded once a decade since 1988. In the announcement recognizing Hendren, the editors cited his work’s timeliness and noted how a study on the market’s failures to provide health insurance dovetailed with the Affordable Care Act debate as well as more recent research that shone a spotlight on the American racial divide in upward mobility. Melissa Dell, Isaiah Andrews, Stefanie Stantcheva, also of Harvard University; Parag Pathak and Heidi Williams of the Massachusetts Institute of Technology; Emi Nakamura of the University of California; and Amir Sufi of the University of Chicago Booth School of Business. Please join us in congratulating Dr. Hendren in this recognition! Click here to read The Economist’s full article.